It's sad but the hard reality of doing business gave birth to about 100 bars offering 100 different ways to get drunk in Bajothang and not a single bookstore to offer a single book. Bajothang is not alone I am sure. Ironically we still expect our children to behave well and grow into good human beings. In the society where every other building has a bar and every other adult is drinking, what else can we expect from our children? An African proverb is a good reminder: "It takes a whole village to raise a child." And Bajothang is not a place that can raise a child, it can only spoil. I have often wanted to start a bookstore here but all these years I was barely surviving. I haven't cleared my car loan after four long years. I couldn't hurt my own kitchen for a neighborhood dream because running a bookstore is not a smart business. To dare that dream was to become a guilty family man. Having been a helpless eyewitness to too many social problem in the school and beyond, and having been a sad observer of worsening academic standards in our students it has increasingly dawn on me that the only total solution to all these problem could be in the magic of reading. Reading does magic to language and opens the floodgate of wisdom. It discovers the goodness of human soul and transform the total outlook on life. I have known many good readers to believe in it. I have known some brilliant kids who are not only academically admirable but also such nice souls to be around with. Their secret to excellence is their love for reading. It's so possible and I don't know why we are not so passionate about making reading a social pride. Everybody wants their child to be extraordinary, it's possible, make them read. Prime Minister Tshering Tobgay believes in this and decided to make reading a national priority. If his idea of Reading Year (2015) is received warmly by the stakeholders Bhutan will never be the same again in few year. We will have the best generation of Bhutanese ever. I wish his excellency could take one more step and give Tax Holiday to all the bookstores because doing that business is an endless sacrifice. Personally it as been a very book year for me. I have received numerous book gifts from various writers. It's a sign that I must understand. It's a sign to dream again, to champion the spirit of reading. One family friend personally came all the way to my place to gift me two cartoons of their finest collection. What they said then will always go with me: It's almost sin to let books collect dust on the shelf after they are read. The books they gave me will go a long way. I have always been a moving bookstore in Bajothang. It began in 2009 when I helped a friend sell Bhutan Now Magazine. Then I sold three issues of Yeewong Magazine and later I established lifelong relationship with Students' Digest Magazine, from their third issue till now. Soon I was selling Bhutanese Novels like Dear Seday, Then I Saw Her Face, The Night Hunters. Let me blog my trumpet by saying that I have sold more copies of those books than any bookstore in Thimphu. 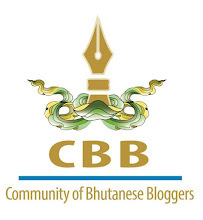 Selling 300 copies of single issue of a magazine in few days is a serious matter in Bhutan. I wish to celebrate Reading Year by putting together all my gut into opening the first bookstore in Bajothang. If there are 100 ways to get drunk, let me give them one way to remain sober. It will be a huge sacrifice and I don't know how I will do it. 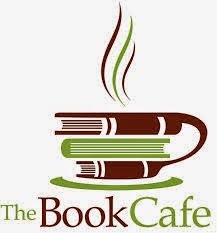 As I type this article my friend Dawa Knight and I have already visualized a vague but brave plan to get it started-something like Book Cafe. I will need long tax holiday, book donations from individuals and established businesses, and Dawa's living room,because he has decided to remain single for some more years, to being with. YOU, Passu, were certainly born for great reasons... beyond imagination. Lagey raho! Instead of bookstore, why not a library? Request it from government office or NGO to build one. Or something like the mobile library. It reaches more people and everyone should be able to afford with a very minimal fee or no fee at all. However, the idea for having a book store can still go ahead as you said there is none there. It's catered for those who wants to keep the copies for themselves. Now I wish to come to Bajothang to work with you in creating this bookstore, I want to volunteer after 9-5 and during weekends :). I wish to move to Bajo now haha. Hopefully I can do that when I go to Lobesa. Huge applaus for your idea. I will pray earnestly that it sees the daylight. It's so amazing how one man can make a difference to the brighter Bhutan tommorrow. Kudos! congratulations...one option to remain sober is worth more than the 100 bars. I am willing to give away whatever books I have. Hats off to u Passu :). When people are busy thinking of making money, I am happy that there is someone who is thinking about this issue. I wish there are more people like you in our community.